Everything you need to get your work done. 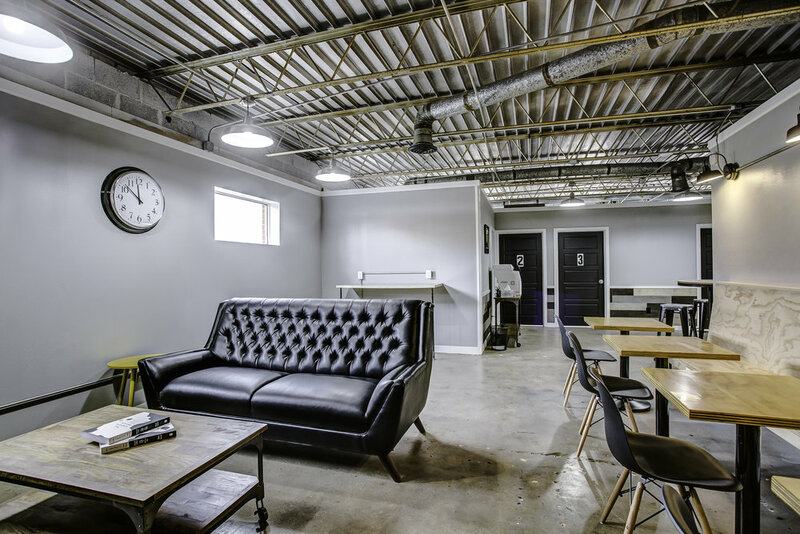 Hub City Workspace opened in the Spring of 2017 as the only co-working space in the Hub City. The space is conveniently located in downtown Lubbock, just a short distance from Texas Tech University and the Depot District. All members can work in a comfortable, spacious common area. 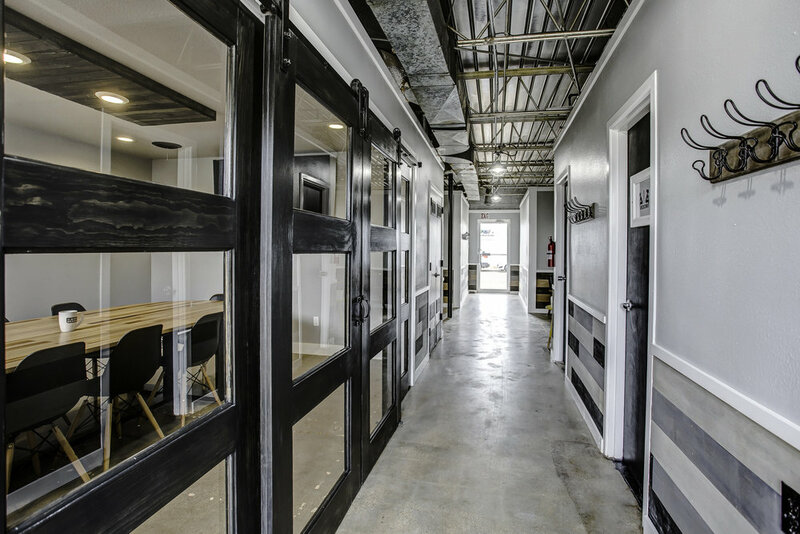 Premium members can reserve a private, passcode protected office space all to themselves. 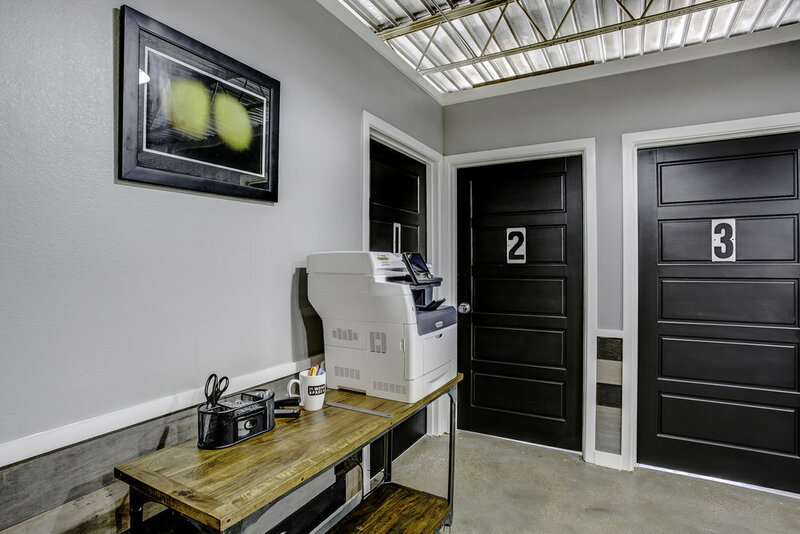 Enjoy a high-productivity environment complete with blazing-fast internet, plugs, keycard access, printing, a conference and break room, and tons more. Each of our offices contains custom designed furniture from local craftsmen. We designed our offices with an eye for minimalism--not letting anything get between you and the work that you need to do. Hub City WorkSpace has a total of ten private offices. Each of the offices has a window and a passcode-protected door. Your office will be used by you and only you. Want to check out more pictures? As a member, you will not just be a customer of Hub City Workspace; you’ll be an active part of a thriving collection of hard workers, go-getters, and Hub City denizens doing world-changing stuff. 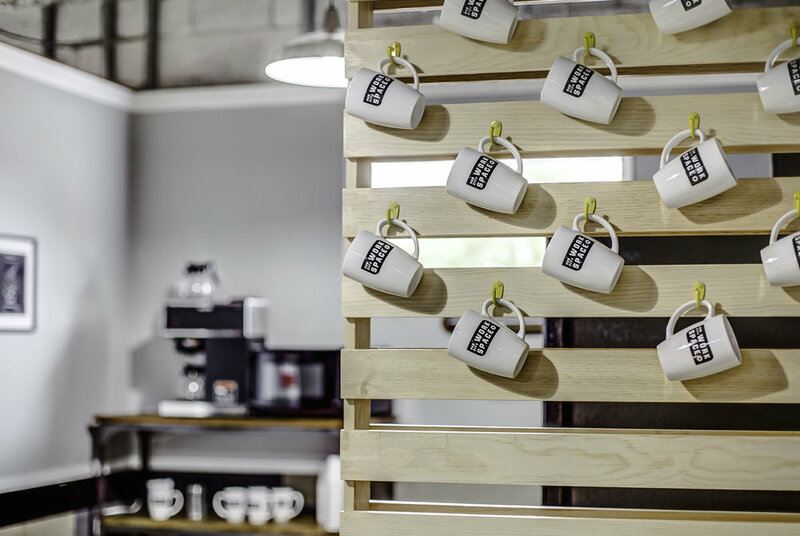 All members of Hub City Workspace receive card access to the space, high speed internet, use of the conference room, and free range access to the workspace during business hours (8am-5pm Monday through Friday). Standard membership gets you access to the building during business hours, with a dedicated card. You'll also get high-speed internet, electrical plugs, coffee, access to the fridge, ability to request a printer code, and use of the conference room up to one hour per month (pending availability). 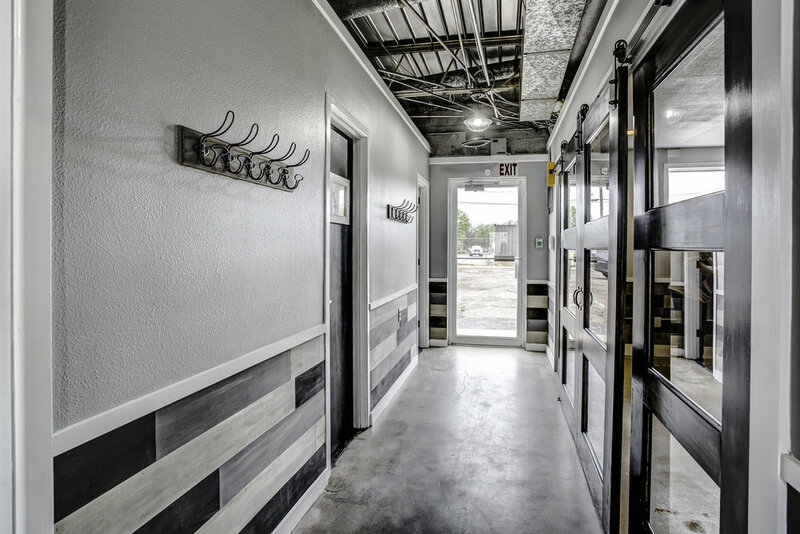 This membership lets you walk in and grab any of the open spaces in the common area. It's simple. It's quick. You'll get a lot done. If you want a private workspace to call your own, this membership is for you. Premium membership will get you unlimited access to the building with your own alarm code in case you need to come and go after hours. You'll get your own passcode-protected office and parking spot. This also gets you all of the awesome stuff from the standard membership (coffee, blazing-fast internet, fridge access, printer access (on request), and use of the common areas. Premium members also get to reserve the conference room up to 5 hours per month. Perfect if you have a weekly meeting to schedule. 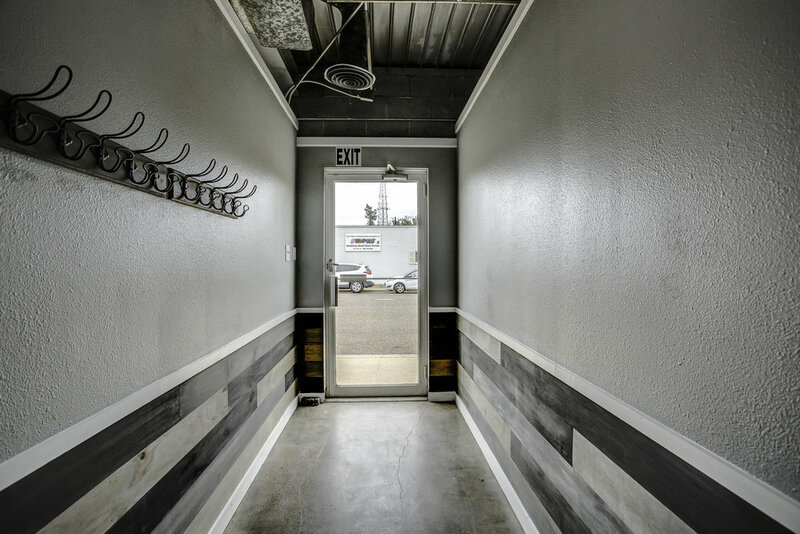 You can also use Hub City Workspace as an office mailing address (ask us for info). If you're just looking for a place to rest your laptop for day, we offer a drop-in rate. 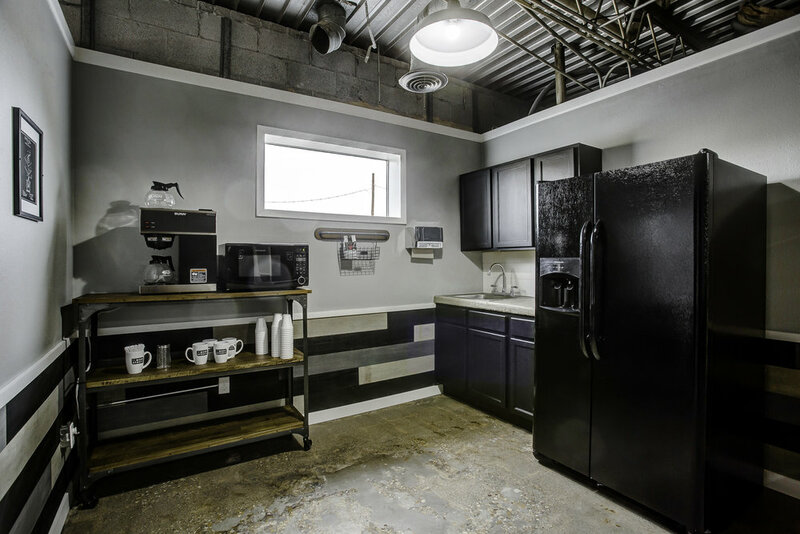 This gets you access to the common areas, internet, coffee, fridge, and printer. Drop-ins are always limited by availability, so be sure to get in touch to see if we have space before dropping by. Interested in dropping in? Want to know more about membership? Just have something to say? Get in touch and we will get back to you as soon as we can!